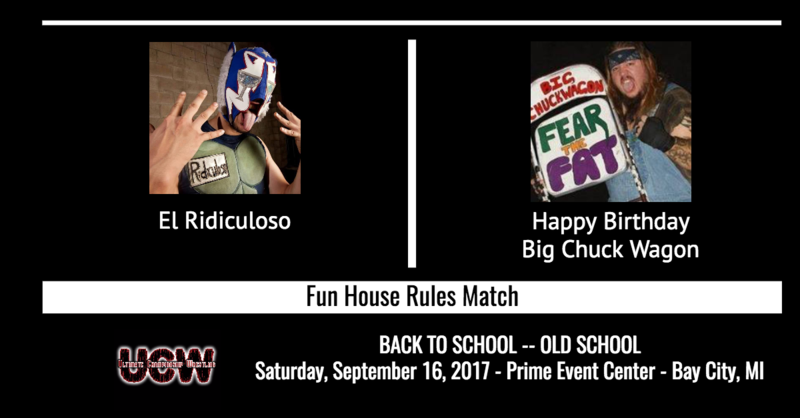 BAY CITY, Mich. — Ultimate Championship Wrestling announces another huge match for Back To School — Old School on Saturday, September 16, 2017 from the Prime Event Center in Bay City, Michigan. Come help celebrate Big Chuck Wagon’s birthday and get your tickets now before they sell out! 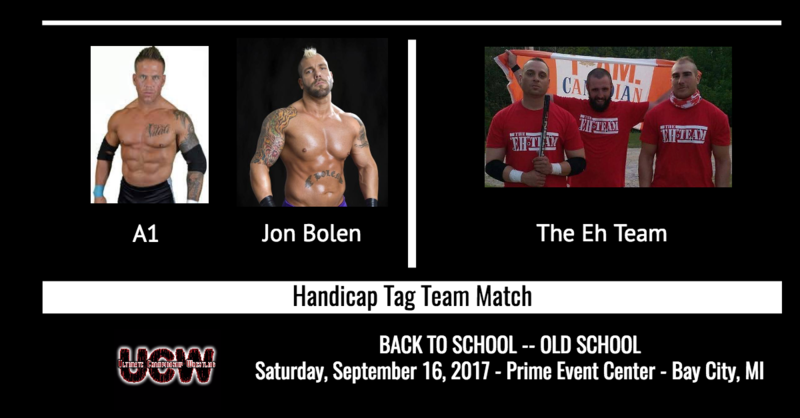 BAY CITY — The Ultimate Championship Wrestling championship committee has officially announced a triple threat match to determine the number one contender to face the UCW Light Heavyweight Champion at UCW Back to School — Old School on Saturday, September 16, 2017 from the Prime Event Center in Bay City, Michigan. 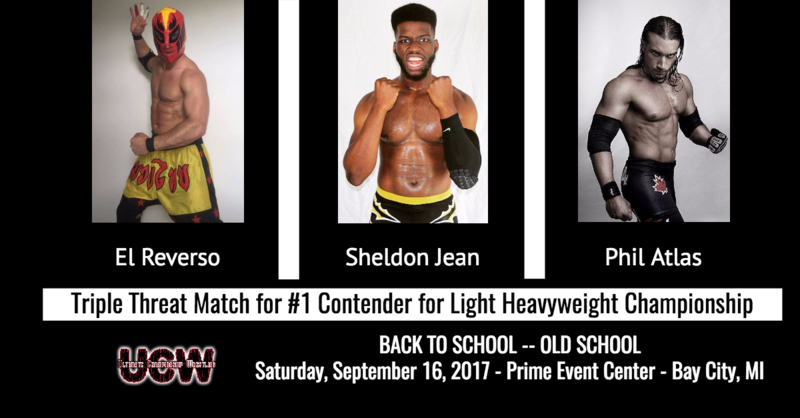 This triple threat match will feature three of the top light heavyweight wrestlers in the region: Phil Atlas, Sheldon Jean, and El Reverso. UCW Back to School — Old School kicks off the new season for UCW in Bay City. You don’t want to miss out on this and many other great contests at UCW Back to School — Old School!